Q. What would be good for breakfast that is yeast-free? Is gluten free brown rice bread okay? A. My yeast-free cookbook, Healthy and Tasty: Dr. J’s Anti-Yeast Cooking, gives you a typical day’s menu. The cookbook teaches you principles of yeast-free nutrition consisting of no sugar, no dairy, no wheat, no yeasts, no caffeine, no alcohol, no nicotine, nor chemicals (Dr. J’s “Eight Commandments”). Most Americans are used to the Standard American Diet (SAD) which is loaded with yeast-favorite food. It may not be possible to have “the best” choice all the time, but you can go for a “better” choice. If you follow 50% of our principles, you will get 50% of the benefits; if you follow 75%, you will get 75% of the benefits. Do the best you can and experience results proportionate to your efforts. In terms gluten free brown rice bread, please be aware that all grains have gluten. It’s just that the kind of gluten in brown rice is not a favorite food for yeasts and parasites; therefore, it will nourish your body instead of feeding your little enemies. To my knowledge, the brown rice bread available in markets today may have yeasts and/or sugar. You will need to decide whether you want to take the consequences of consuming these negative ingredients. 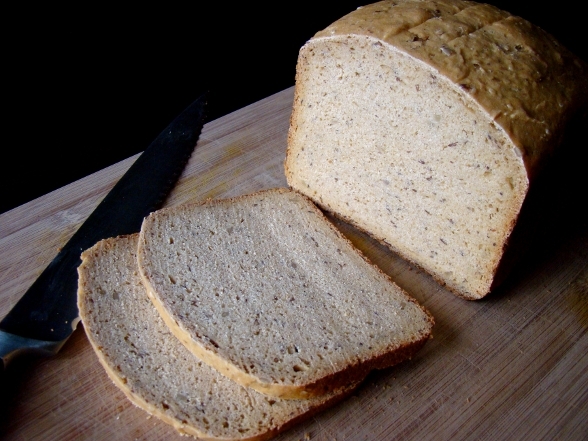 Kamut bread has no sugar, no dairy, no wheat, nor yeasts. We used to make kamut-bread avocado sandwiches for our customers in the past. You might want to go to your local health food stores to see if they carry that item. You can also rotate with oatmeal and oat bran muffins (see recipes in my yeast-free cookbook). Meanwhile, you can have an Herbal Cocktail smoothie with a grain you choose. This cocktail would be both delicious and nutritious! For consultation on yeast-free nutrition, herbal detox, hormonal imbalance, weight management, drug-free holistic treatment for various health issues, please call us at (800) 715-3053, or send an e-mail to drj@drjsbest.com. Consultation sessions over Skype or the telephone are also available. For more information, visit our website: www.drjsbest.com.